On average local SEO services for one location cost $800/month and cover everything you need for the first-page ranking. Most clients start ranking within 4-6 months. Create, verify and optimize Google Maps page with photos, videos, descriptions and more. Submit and optimize your profile on over 100 local directories including Yelp, YellowPages, FourSquare and more. Monitor and improve reputation on directories. 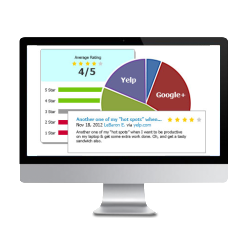 Drive more positive reviews and rating. Over 90% of local searches (users intend to find local businesses i.e. “flower shop”, “real estate agent”, “Vietnamese restaurant”) have results from Google map on it, a place that formally known as Google+Local and now called Google My Business. There are many different ranking factors that determine whether your business appears on Maps results and I’ll work on all of them to ensure you rank both in Organic and Maps results. Local directory submission services included In Local SEO Services and I have you covered. Clients typically start ranking on the first page in 3-6 months. 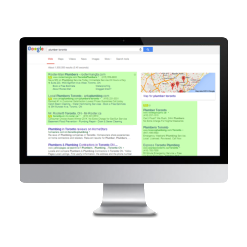 Effective local SEO services require work on a lot of areas – on and off-site SEO, local directories listings, reviews, links, and more. You may need work on all of those areas, or just on a couple – will be determined before optimization begins. I’ll make sure your Google Places page is problem-free, perfectly optimized, and appeals to customers. This step is crucial: if anything’s wrong with your Places page, you’re less likely to show up on the local maps results. 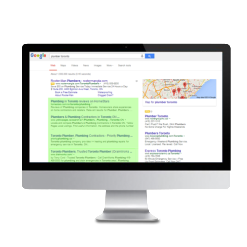 If your business isn’t listed on the sites and local directories Google likes, you may not rank as well as you could be. The same is also true if your profiles are missing or have an incorrect business info. I’ll go an extra mile to fix incorrect listings and creating the ones you’re missing. Performing an SEO audit of your site, fixing any technical issues and improve overall usability can increase chances of ranking higher on Maps. I can provide recommendations and collaborate with your web designer/developer or fix it myself. Your site might not have enough content it needs to make Google like your website. You may not have content for keywords you are trying to optimize, or it’s not focused or detailed enough. I’ll help you create content that shows off your expertise, and help you revive pages that need more work. One of the writers I work with can do the legwork and will only ask you to fact-check the content before I publish it. Building a decent backlink profile is the trickiest parts of any SEO. I’ll check the existing backlinks and come up with a plan if it needs to be improved or cleaned up (to avoid any Google’s penalties). I can work with you to get new backlinks, or if you’re a do-it-yourselfer I can just research the link opportunities for you. I’ll help you to get more reviews from your customers. Reviews are always a challenge, but they’ll help you rise above your competitors, improve CTR (Click-Through-Rate) and make users more loyal to your brand. Local SEO is no paint-by-numbers project, because every business is unique. Challenges and questions will pop up that you just can’t plan on – plus some tough issues that not easy to fix. The good news is I’ve worked with over 30 business and websites in 5 countries over the last 5+ years, so I’ve probably helped a business like yours already. Bring in more leads with Google, Yahoo and Bing Places profiles. Google My Business setup: I optimize your Google My Business account (Maps). Local social media: I help you engage with your community. Don’t be a stranger! Webmaster tools and Analytics setup to monitor and fine-tune campaigns.